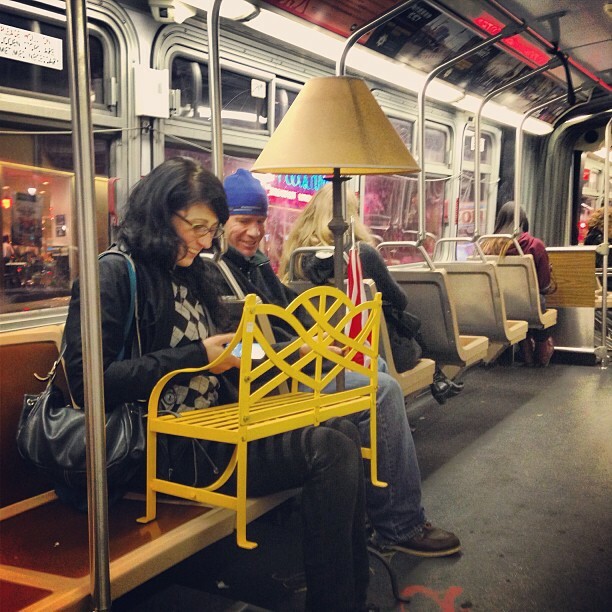 Via hiiidaaayyy: “This would be weird if it wasn’t San Francisco.” Yep. One man and his treasure, in a precarious Jenga formation. The wine bottle supports are a nice touch, methinks. 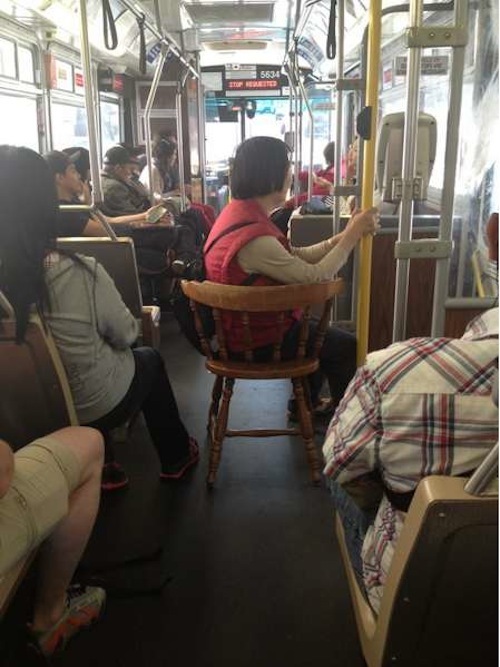 This marks another addition to our ongoing Muni Strange Cargo series. 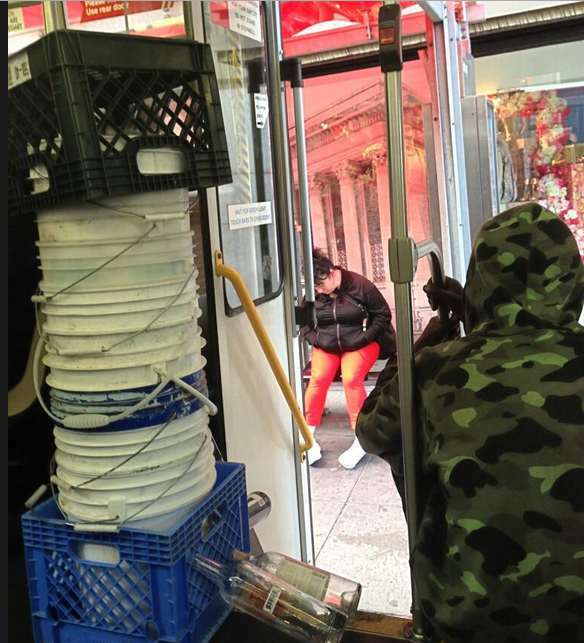 Separately: Is the woman at the bus shelter asleep? Are her pants on fire? 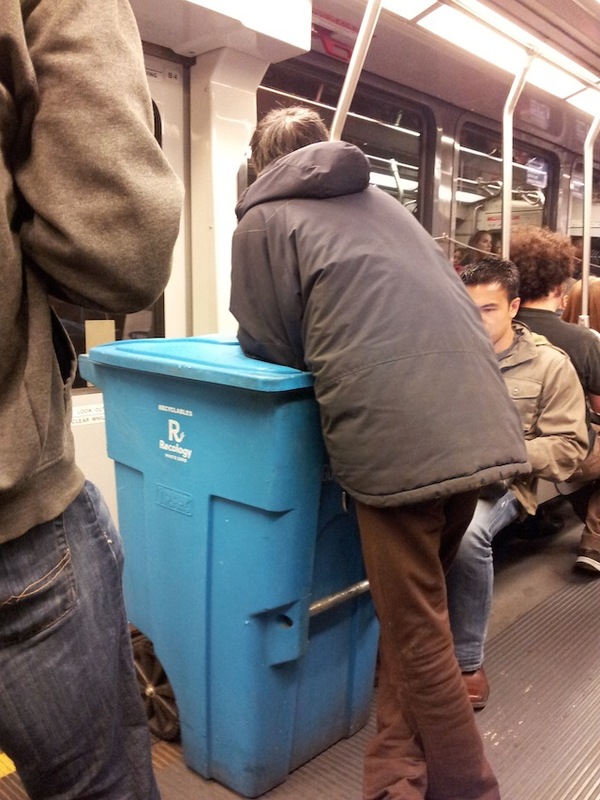 What other unexpected carry-on items did you spot on Muni? Send ’em this way, please. 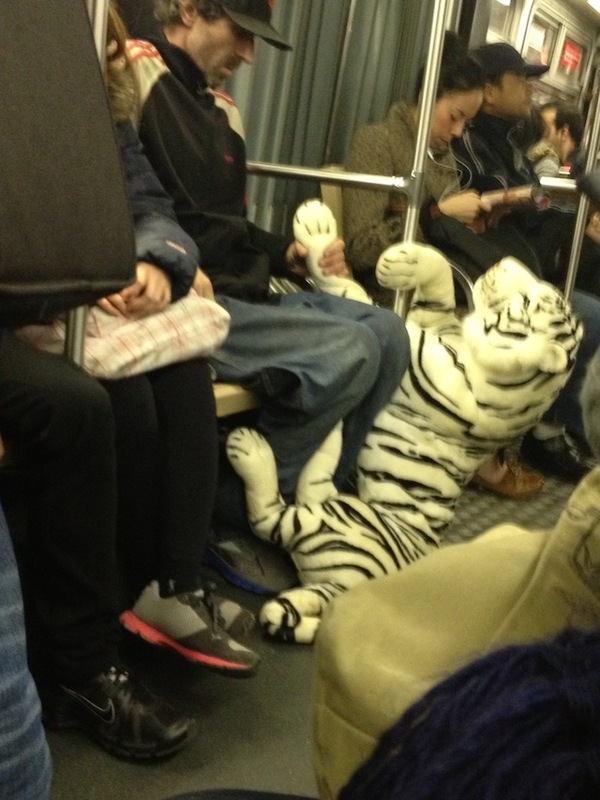 Or should it be, “tiger striped on Muni.” Heh, I crack myself up. In any case, Melanie spotted the above wildlife. She thought you should know. We applaud her effort.